Santa is coming, Santa is coming! Now if I only had a fun way to mark the countdown to Christmas in my planner? Oh wait! I do! Grab these free printable planner stickers for your paper OR digital planner -fun, bright colors to make for a happy week. Each sticker measures just under 1″ round. Holiday Blog Hop : I’m super excited to be a part of my very first blog hop! 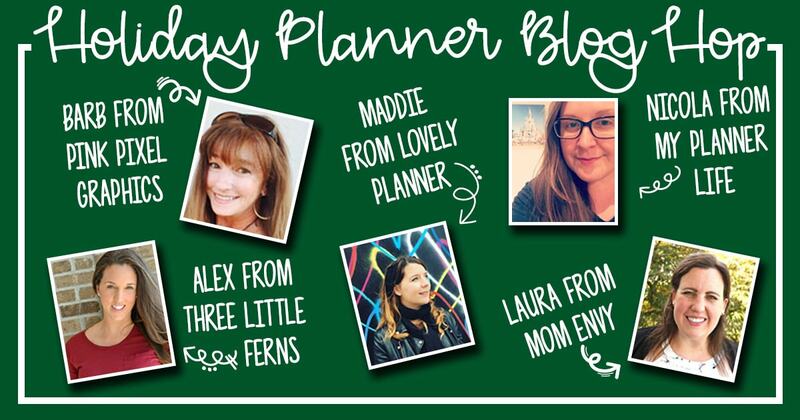 All these amazing blogs have come together to bring you FREE holiday planner printables. Just click below to visit each of the different blogs and download a planner freebie. Love them – thank you! These are so adorable! Thanks so much for sharing!